Posted in: Profiles. Tagged: Sober Island Brewing. 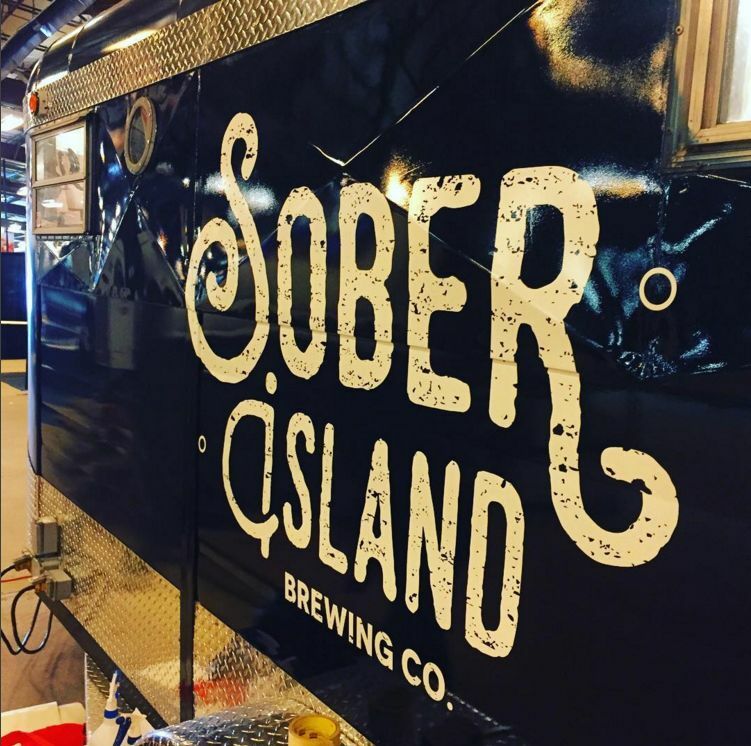 Sober Island Brewing Company will be launching at this weekend’s Saltscapes Expo, at Halifax Exhibition Centre (formerly Exhibition Park). Ahead of their entrance to the Atlantic Canadian beer scene, we wanted to catch up with owner Rebecca Atkinson and brewer Jonathan Primack on their brewery, beers, and plans for the future. Rebecca: I’m 26, was born in Cardiff, Wales and moved to the town of Sheet Harbour around age four; so, I’ve really grown up here pretty much my whole life. When I left the community to go to school, I really wasn’t sure what I wanted to do. I went into sciences first, then decided to try out the Tourism Management program at NSCC and finally found what I love: food and beverage. I continued my education in a business degree of Tourism and Hospitality management at Mount Saint Vincent University and completed that. For a few years I worked on and off serving at different restaurants, and found a love for beer when I began working at Noble Grape. After moving around different places and always ending up back in Sheet Harbour, I knew that was my home; the plan was to work in the summer and travel in the winter. I went on my first winter travel to Wales, saw an Oyster Stout on tap and that’s where the journey began for me! I love food, drink, and where I live, so this is me wrapping up all of my passions into one opportunity for me and my community. Jonathan: I have been home brewing for many years, but got into all grain brewing three years ago. I’m also a foodie and love hands-on hobbies including food and beverage. I met Jonathan at Noble Grape when I first started working there. He asked me what type of beer I enjoyed and my response was, “Coors Light, Bud Light Lime”, so as a craft beer drinker he was naturally unimpressed with me. He gave me a Double Oatmeal Stout to try and that’s when I started drinking beer of all different types, and eventually started brewing my own. I love what craft beer offers to the foodie world as well – it can be so complex and interesting, it makes it a lot of fun to pair with food. Brewing is an art, just like cooking. The Oyster Stout was absolutely the deciding factor for me to get into the craft brewing business; I think it was a little of the foodie in me as well. Putting fresh Sober Island Oysters into a beer, taking two products that I love and bringing them together, it’s just an awesome thing. And this is an opportunity for me and my community. I want to live here so I need to create an opportunity for myself. I want to partner with other businesses in the area to create a thriving rural community. Tell us about the brewing system you are using. 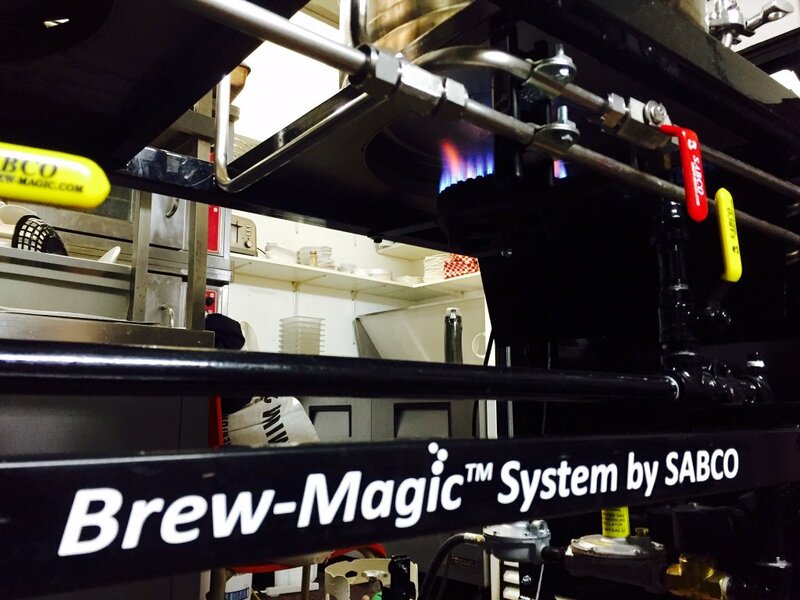 Right now we are brewing on a Sabco BrewMagic 1/2 bbl (58 L) system and will be brewing three times per week. As soon as we get the building done next to The Henley House Pub and Restaurant (aiming for the fall), we will be brewing on a 7 bbl (~8 hL) system, still aiming to brew at least three times per week. 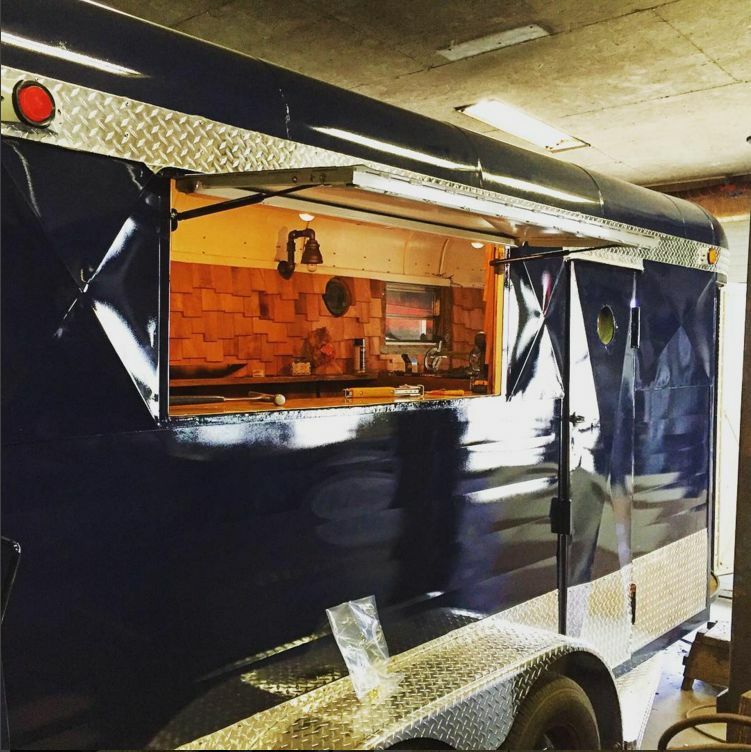 We will be taking the converted horse trailer out to markets where we will sell samples and have a growler style service. We have tap accounts with two establishments within our area: The Henley House Pub and Restaurant (opening for the season May 5th), and the Liscombe Lodge (after their opening, end of May). We are not currently licensed for on-site sales but hope to incorporate that into the expansion in the fall. Initially, we are offering the Sober Island Oyster Stout and a 5.1% ABV English Golden Rye Ale. 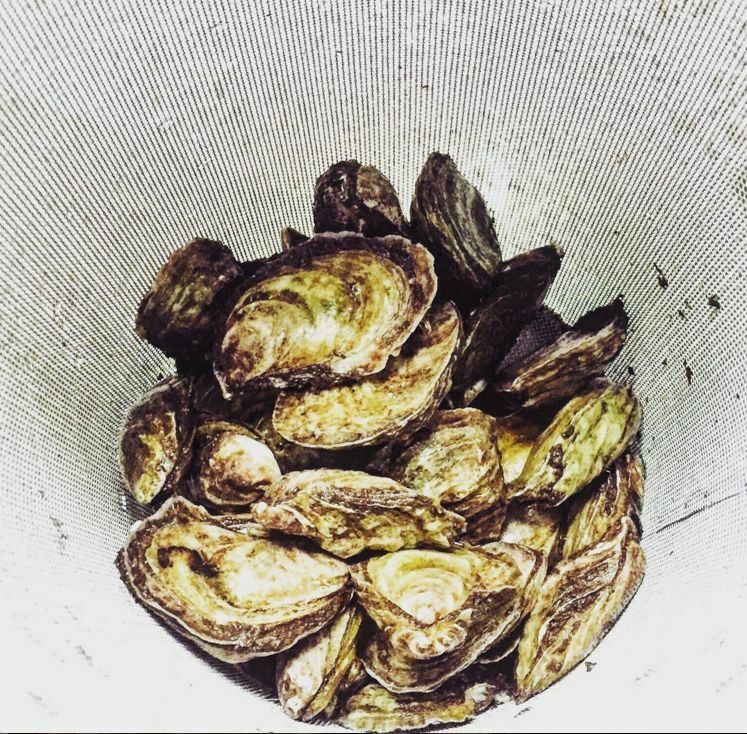 The Oyster Stout is 6.0% ABV, and features whole Sober Island oysters added to the boil, shell and meat! We will also provide The Henley House with their own private ale, a style you would typically find in Welsh pubs. We are focusing on English styles with an American influence. Once we get into the larger system, we will definitely be offering seasonals and one-offs, but for now, brewing on a small scale system, we want to ensure we can satisfy our tap contracts and still have enough product to take out in the trailer and attend events with. All of the breweries in the province have been very helpful. We have had to reach out for advice on several things and everyone has been more than willing to help. In the beginning I read the blog on imstartingacraftbrewery.com, which I found very helpful as well. It’s written by one of the men responsible for Strange Fellows Brewing in Vancouver, B.C. When I get the chance to go to B.C., I’ll definitely be stopping in. In the next 2-3 years we hope to be building our destination-oriented microbrewery on Sober Island. I would like for us to have contracts for the Oyster Stout in oyster bars as well as restaurants offering oysters, across the province and possibly even the Maritimes at that point. We anticipate having people visit the brewery and spending the day on the Eastern Shore, whether it’s doing some boating, hiking, fishing, camping, or a combination of all of the above! Our area is ideal for anyone wanting to experience the outdoors, nature and culture. I think our shore provides a very authentic “East Coast” feel. Favourite beer style – that’s a tough one. I eat and drink pretty much anything, I like to be open to trying everything. I believe there’s pretty much a time and place for every style of beer, every wine variety, etc. It’s not just about the beer style itself, it’s the atmosphere and the mood that surrounds it as well. I enjoy trying new beer from as many different breweries as possible. I would have to say my favourite ingredient to brew with is oysters; Jonathan would say Crystal 60 L.
Many thanks to Rebecca and Jonathan for spending some time answering our questions. Check out their Facebook, Twitter, and Instagram pages for more pictures and to keep on top of their progress. They will even be live-streaming from this weekend’s Saltscape Expo on Periscope. The Expo runs Friday 12-9pm, Saturday 10am-6pm, and Sunday 10am-5pm. Joining Sober Island will be Bulwark Cider, Garrison Brewing, Meander River, Rare Bird, and many more non-beer businesses (full list here). After this weekend’s launch, catch a collaboration brew between Sober Island and homebrewer Rhiannon Visser at May 8th’s Stillwell Open, to tide you over until regular availability of their beer later in the month on the Eastern Shore. ← Friday Wrap-Up – News from Petit-Sault, Acadie-Broue, Breton, Upstreet, Maybee, and more!